I recently found the fifth of the Nintendo board games from 1966, based on popular television shows. It is called Osomatsu-kun Game (おそ松くんゲーム). 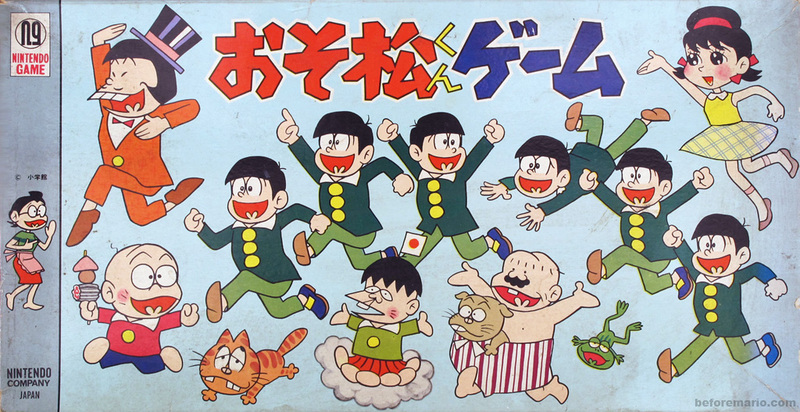 Osomatsu-kun is a famous manga series created in 1962 by Fujio Akatsuka (赤塚 不二夫). It is drawn in a very comical cartoon style. In 1966, this manga was turned into an anime for television. The stories in Osomatsu-kun center around ten-year old sextuplets, called Osomatsu (おそ松), Karamatsu (カラ松), Choromatsu (チョロ松), Ichimatsu (一松), Jūshimatsu (十四松) and Todomatsu (トド松). Osomatsu is the oldest of the six, and stands out because of his mischievous nature. The manga is named after him. There is a host of other characters in the series, some of who have actually become more popular than the sextuplets. One of them is Hatabō (ハタ坊), who has a Japanese flag sticking out of his skull. The most notable figure is Iyami (イヤミ), whose dominant feature are his three front teeth. When he gets excited, he strikes a pose and shouts "Sheeeh!" (「シェー」). Chibita (チビ太) is a friend of the sextuplets. He is mostly seen eating oden on a stick. This fellow with the large striped pants is called Dekapan (デカパン), which is short for 'large pants'. Totoko (トト子) is girl whom all of the sextuplets have a crush on. Let's take a look at the title song of the 1966 television series. Nintendo acquired a license to Osomatsu-kun. They used it for a game, which is simply called Osomatsu-kun Game. Osomatsu-kun Game is a traditional board game. 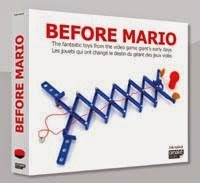 The game consists of two boards. A small one inside the box, and a larger fold-out one. Players can choose between two game variants, each using one of the boards. For both variants, from 2 to 4 people can play. In the game variant that uses the large board, the objective for all players is to build a 'Iyami' from six parts. 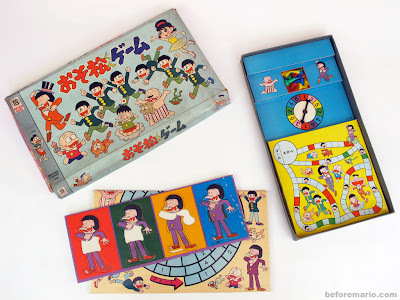 For each turn, the spinner inside the box is used to determine the number of steps to advance on the board, and the numbers printed on the board determine which body part of Iyami a player can pick. The first to assemble a complete Iyami wins. This board game already shows the shift of attention within the Osomatsu-kun cartoon series from the sixtuplets to Iyami. In the 1980s, a second Osomatsu-kun anima series was created, in which he appears as the main star. 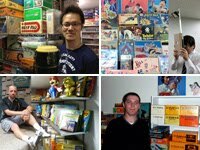 The post showing all five Nintendo manga board games can be found here.